The Ministry of Legal Affairs has begun the process for Grenada to conduct another referendum to make the island a member of the Caribbean Court of Justice(CCJ). Attorney General Dr Lawrence Joseph confirmed on Monday that a draft amendment to the 2016 CONSTITUTION OF GRENADA (CARIBBEAN COURT OF JUSTICE AND OTHER JUSTICE-RELATED MATTERS) Bill was recently sent to the Grenada Bar Association for discussion and input. “We have circulated that amended Bill to the Grenada Bar Association for discussion as part of the first step after we receive comments from the Bar, we will then have wider discussion,” said Dr Joseph. The Bill also must be laid in the parliament for no less than 90 days for the referendum could be held. Called the CONSTITUTION OF GRENADA (CARIBBEAN COURT OF JUSTICE AND OTHER JUSTICE-RELATED MATTERS) (AMENDMENT) BILL 2018, the main purpose of the Bill is to amend the Constitution of Grenada in order to enable accession to the CCJ as the final Court of Appeal instead of the Privy Council. The 2018 Bill includes almost everything in the 2016 Bill with 2 exceptions. “We have removed the section about swearing allegiance to the country instead of to the Queen as well as the code of conduct for public officials. However, if during the discussion people recommend that anyone be included, it will be replaced,” Dr Joseph assured. Joseph said that government would once again establish a committee to spearhead the process. The previous committee was chaired by well-known constitutional lawyer Dr Francis Alexis and comprised 18 other persons who represented a wide cross of stakeholders including the religious community, the media, the youth, the labour movement and civil society. The CCJ and Other Justice related matters Bill was among 7 which failed to receive the adequate number of votes in the 27 November 2016 referendum. Grenadians voted against the CCJ by a margin of 9,492 in favour as against 12,434 against. Dr Mitchell said then that he regretted the defeat for the CCJ, noting that he should have done more to encourage voters to accept the CCJ as the island deepens its political independence from Britain. The Attorney General is confident that the Bill will this time receive the majority of votes. “This time around, the government is supporting the bill and will be encouraging people to vote 1yes and tell them to vote with their conscience,” he said. Following the Prime Minister’s remarks to re-open the dialogue on the CCJ, Ruggles Ferguson, a former member of the Constitution Reform Advisory Committee says that he was pleased that government was once again thinking about Grenada joining CCJ. “When we talk CCJ it means greater and quicker access to justice for the people,” Ferguson said on Tuesday. He was quick to point out that for the dialogue to succeed there will be a need for serious public education to ensure that whenever such a decision goes to the people, the decision is made from sound knowledge. “Looking back at what happened during the referendum and the outcome, I see there will be need for public education targeting all. So that when a decision is made to change the constitution it will be made as a result of factual education and not the lack of it,” said Ferguson who represented the OECS Bar Association on the Advisory Committee. 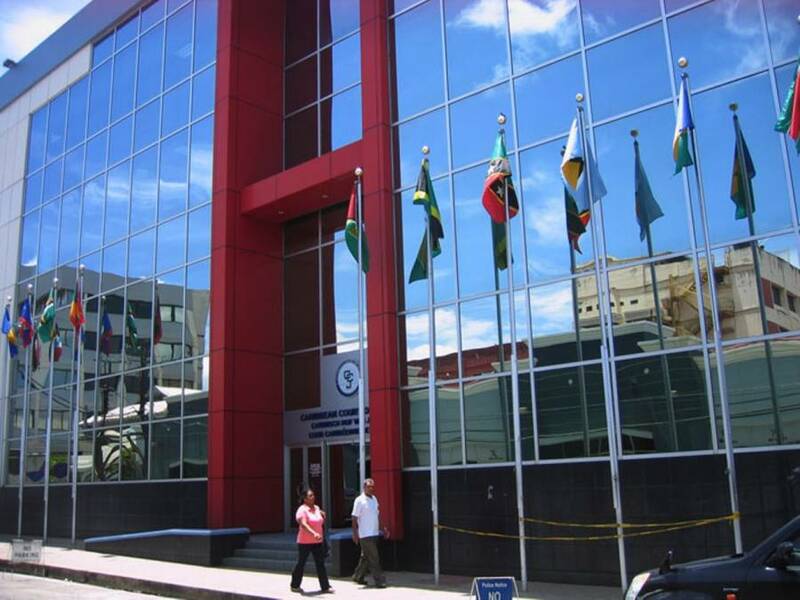 Ferguson who is the Current President Organisation of Commonwealth Caribbean Bar Association said that Grenada is already paying for the court as a member of Caricom and so the people should utilise the services. “It cost so much more to take a matter to the Privy Council in London when compare to take a matter to the CCJ in Trinidad, matters can even be filed electronically and be heard using technology, it’s very cost effective,” he said.